I have a bit of a wild side. I guess I always have. I think I get it from my dad. There have been times it’s been more prominent and times when it’s been more dormant. Admittedly, this side is in a welcomed dormant stage, and has been for a while now. This current stage was preceded by a particularly wild, wild streak. I can attribute that period, in large, to The Coach and Horses. I can attribute the current, dormant, period, in large, to the closing of The Coach and Horses almost two years ago. It was a sad day when it closed. Sort of. I drive down the stretch of Sunset where The Coach was almost daily (hence the main reason I was such a regular), and I have watched with anticipatory curiousity as the cold-molasses-running-uphill progress was made on the exterior of the building. It was like, nothing, nothing, nothing, nothing, a little something, a little more – wait – it looks open! It’s true, Fred and I were driving to my house after dinner about a week and a half ago, I saw lights and people and made us pull over. Turns out they were having their friends and family night and were not open to the public. But we were given a brief tour. I was excited. It looked beautiful. They told us they were to have a week-long soft opening beginning that Sunday. So I called Maggie and we made a date (Maggie was with me a great deal during the last wild streak at The Coach). And so, last Monday night Maggie and I called a cab (yes, we knew) and headed back to The Coach and Horses, newly dubbed The Pikey, headed up by bar owners and restaurateurs Jared Meisler and Sean MacPherson (Il Covo, Roger Room, Swingers, Good Luck Bar, El Carmen, Jones, Bar Lubitsch). Broken up into three spaces, each with their own vibe, The Pikey features a dining room (where the Curry Palace was), a dimly lit pub room with bar stool and tall-back booth seating (The Coach), and a smaller Maharaja room with another bar to be open most nights and available for private events (used to be storage as best I can recall). I explained the set-up to Maggie and we decided to make a whole evening out of it: have dinner on the restaurant side and then amble on over to the Coach bar side and have drinks. 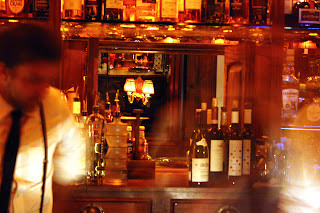 Upon exiting the cab we immediately spotted one of the old Coach regulars standing right outside the door. We were somewhat bemused, but not sure why. We exchanged pleasantries and went in to have dinner. 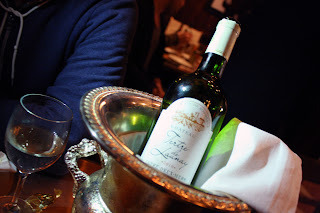 Then we moved on to a bottle of Entre deux Mers, Tetre de Launay, Bordeaux, 2010 ($10/36). We both kind of wanted red but their list of whites was infinitely more appealing. With this we ordered the Papardelle with Braised Oxtail ($15) and Mary’s Vinegar Chicken with Thrice Cooked Chips ($18). 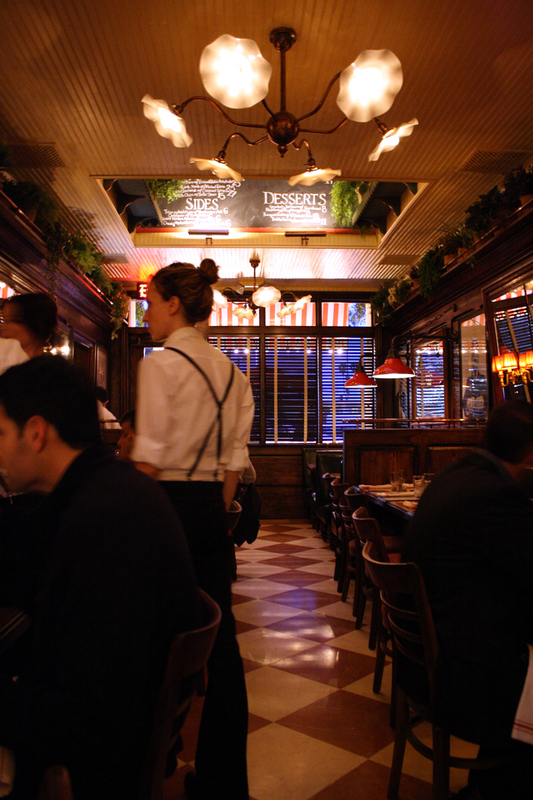 We then noticed two other old Coach regulars in the dining room (not together). Brass tacks: the papardelle was nice. The ragu was a little sweet, which Maggie appreciated. 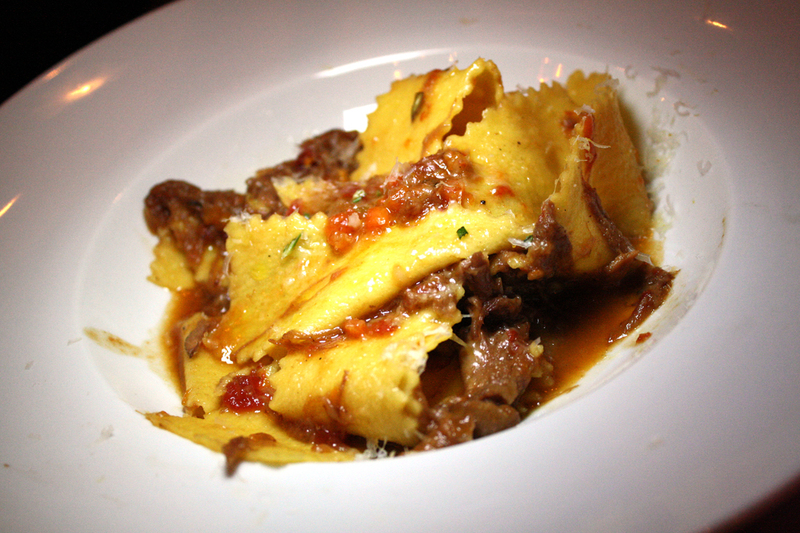 The pasta was fresh and very nicely done, which I really appreciated. But we both agreed that it should really be an entrée rather than a small plate. 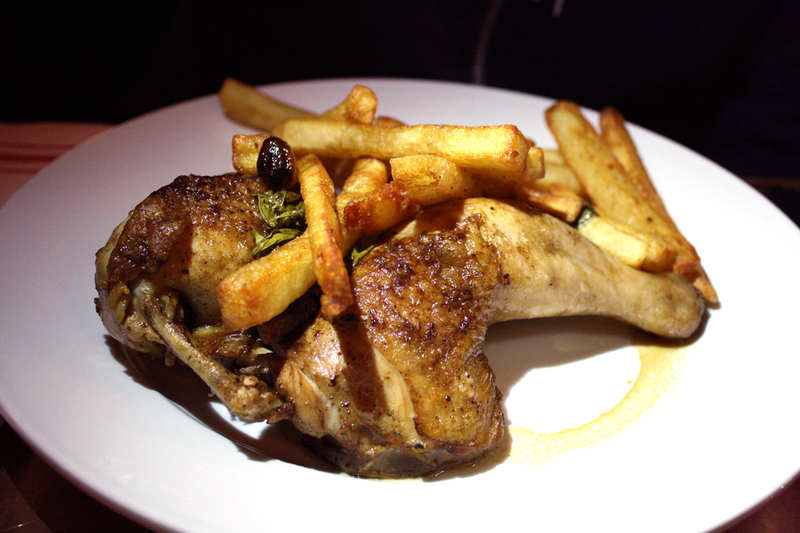 The chicken, which I was the most excited about, was stellar. It was moist as can be with an expertly crisped skin (it reminded Maggie of eating the marshmallow, with its perfectly crispety crispeties at a campfire) and its flavor was deftly enhanced by the vinegar. 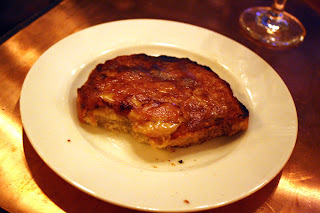 The thrice baked chips were amazing as well, crispy, salty, potato-y goodness. Maggie loved that the chips on the bottom were swimming in the rich juice from the chicken. 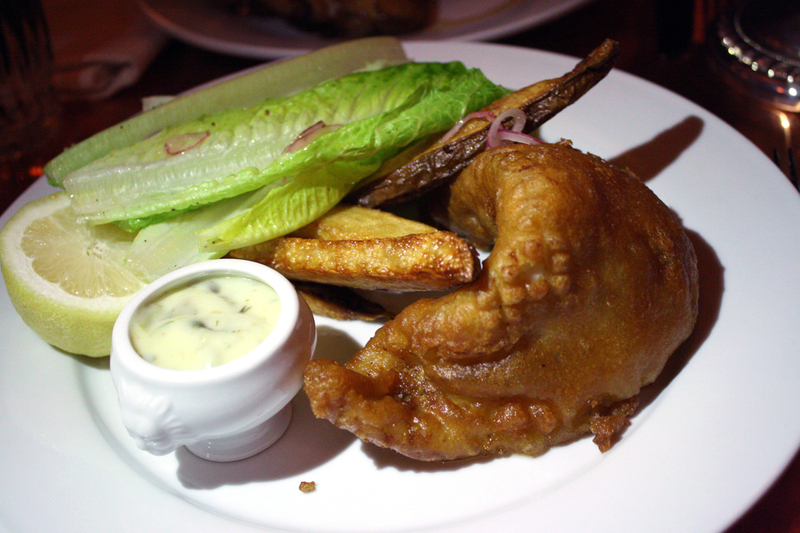 We had fully intended to order the fish and chips, but we were absolutely stuffed. 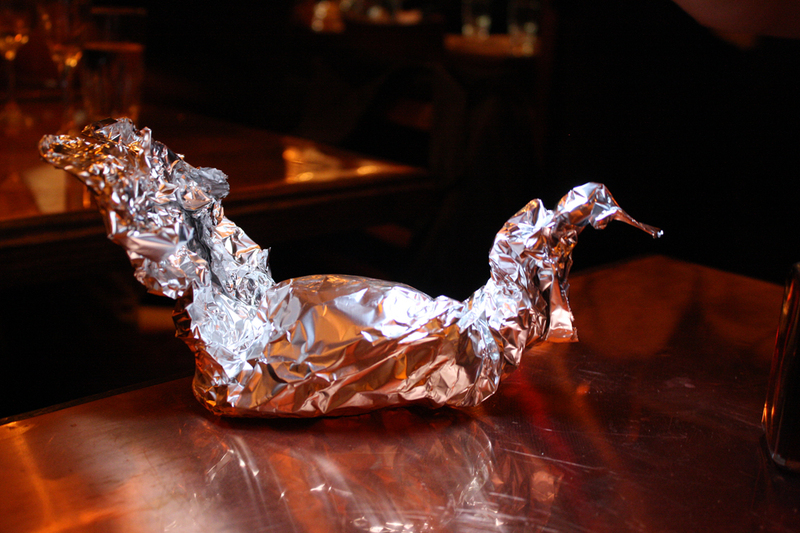 We actually even took a chunk of the chicken home – which they returned to us, ready to go in foil, artfully shaped like a swan! We both felt that nicer wine glasses would be preferred. The catering world’s wide stem tulip glasses don’t work in an environment next to $14 artisinal cocktails. And while they get big ups for having lambrusco by the glass, someone should mention to them that it need not be served in champagne flutes. 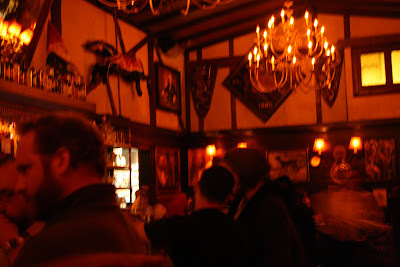 We then changed-up our evening by moving over to The Coach side, where we immediately were greeted by about half a dozen old faces, occupying their half dozen old bar stools, PBRs in hand, in a room that looked shockingly the same as it used to (they did a really great job). Again, we were bemused. Until we realized we were there too, right? At least I didn’t have to drink the same "red wine" I drank back at The Coach. We continued with our glasses of Entre deux Mers. I think Maggie had a scotch at some point. But by then we had traveled down the rabbit hole - again. No, I wasn't up until four in the morning doing that or that. Yes, it's true, perhaps I've been the last man standing more than most ladies would admit, but I do have unending energy. And an amazing constitution for wine drinkage. But, though Fred asked, we did not, in fact, close the bar down. I'm pretty sure we took the second cab home that we called and made it there by one thirty in the morning. Take that! Coach side - with Regulars. The next morning, as we attempted to put Humpty Dumpty back together again, we reminded ourselves of the relief of this appreciated dormant period. We cursed The Coach. The next night Maggie returned and had the burger. She wanted the fish and chips but it was not available for some reason. And a glass of the Entre deux Mers. I love that girl. The night after that I dragged Fred in. We ordered a bottle of the Entre deux Mers, the Crispy Pig’s Ear Salad with Young Kale & Mustard ($14), the chicken (again) and I finally got to try the Fish & Chips with Tartar Sauce ($15). 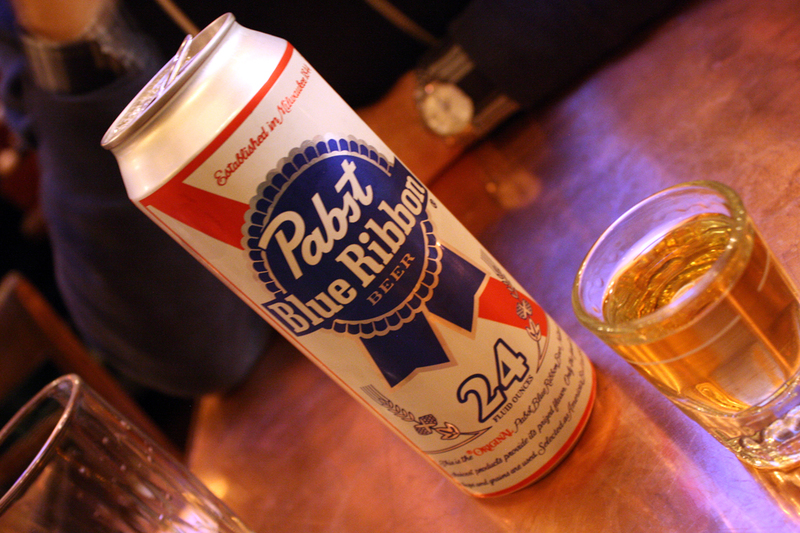 Oh, and Fred made it a point to order THE COACH AND HORSES: Shot of Ancient Age Bourbon and PBR “Tall Boy” Can ($8). *Picture at top of post. 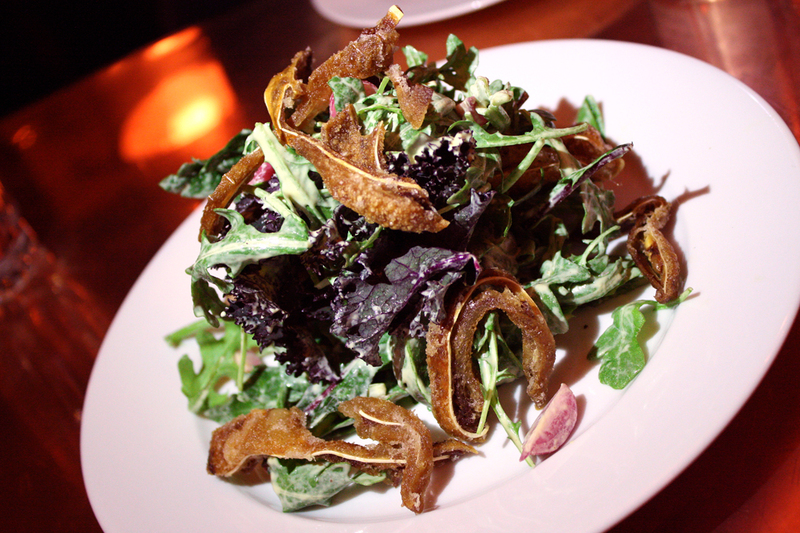 Brass tacks: The salad was missing some component to bring the delicate greens and the crude texture of the pig ear together. The chicken was, again, awesome. The fish and chips, the main reason for this visit, was merely fine and not tremendously memorable. The chips were not of the thrice baked variety, but rather more in the wedge-cut arena. 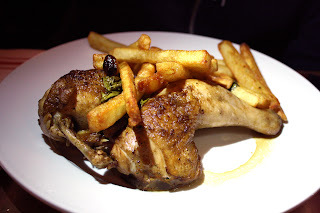 These fries were fine but pale in comparison to the thrice baked ones with the chicken. 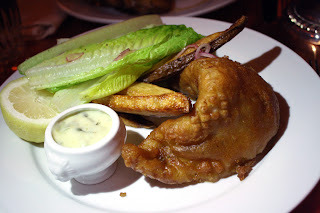 The fish, which, admittedly, I doused with malt vinegar and lemon upon its arrival was not confident in its identity of a good ole’ greasy London street style, or bougied American gastro pub style. But lest we forget: this is all still the soft opening, where, in my humble opinion, all is fair. The portal between the two main rooms. Which reminds me, The Pikey opened for reals yesterday. I, for one, dig it. 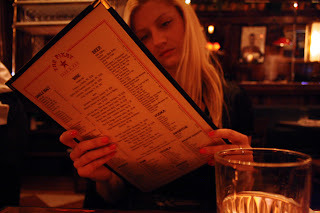 I will return and, I imagine, eventually sample everything on the menu (which is not that huge (which is nice)). I imagine I will stop in for a glass of wine on my way home every once in a while. I imagine, every so often, I may have one of those nights there. But I no longer fear The Coach will carry me back to a wild phase. You see, it would appear that it’s grown up now.